Warning: date_timezone_set() expects parameter 1 to be DateTime, boolean given in format_date() (line 2074 of /opt/drupal/core/7.65/includes/common.inc). Warning: date_format() expects parameter 1 to be DateTimeInterface, boolean given in format_date() (line 2084 of /opt/drupal/core/7.65/includes/common.inc). Inspiriert, oder besser gesagt angespornt durch meinen Podcast-Partner Christian Friedrich, schreibe ich hier zusammen, was bei mir alles im Monat März angefallen ist. Zum Monatswechsel war ich noch in Bahrain für die Akkreditierung der Kingdom University. Dazu wird es mehr Informationen geben, sobald der Bericht offiziell abgenommen und veröffentlicht ist. Wir sind gerade noch im Prozess die einzelnen Teile innerhalb des Panels und mit der zuständigen Behörde abzustimmen. Viel Arbeit floss im März für einen DAAD-Antrag, den ich an der FernUniversität mit einem kleinen Team vorbereite. Mittlerweile haben wir die Skizze eingereicht und warten auf Feedback, ob wir in die nächste Runde kommen und dann einen Voll-Antrag ausarbeiten dürfen. Die bisherige Arbeit mit mehreren internationalen Partner*innen hat gezeigt, dass das Thema (mehr dazu auch später :=)) auf große Resonanz stößt und wir auch ohne Förderung weiter machen werden. Für den Tag der Lehre an der DHBW-Karlsruhe durfte ich Keynote, Workshop und Zusammenfassung beisteuern. Es war eine sehr gut organisierte Veranstaltung, über die ich bereits hier gebloggt habe. Für die OER19 in Galway habe ich mit J&K (Sonja, Gabi und Jöran) eine Einreichung vorbereitet. Mit einem Video soll die Diskussion zu #untargetedopenness initiiert werden: Welche unintendierten Nebenwirkungen kann es bei der Erstellung von OER geben? Für die OER-Tagung ein sicher dankbares Thema. Daneben stand bei mir Lehrstuhl-Organisation in Hagen und verschiedene Gutachter-Tätigkeiten an. The role of IET is explained in this 1973 clip. Then there is a fabulous 1976 video here of David Hawkridge detailing what IET did back in those early days. So, June this year can be said to be the 50th for IET in some respects. It was an important step, because educational technology didn’t really exist much before then. There were lecture halls, and research on the efficacy of labs maybe but in the face to face model which pretty much had a monopoly in higher ed, what was the need for educational technology research? But the OU of course needed to evaluate how different approaches worked, and what technology worked effectively at a distance. So, if you were feeling generous, you could sort of say they invented ed tech (or at least gave it prominence and legitimacy). Yes, it’s all our fault. Anyway, I was asked by those nice people at Wonkhe to write a piece on this, in my unofficial role as “Old Man of OU Ed Tech”. OER als eigenständiges Thema zu setzen fand ich bemerkenswert, da die Diskussion seit einigen Jahren stark vom „Mega-Trend“ Digitalisierung dominiert ist. Es geht dann um Strategien und technologische Innovationen (KI, Blockchain), so dass pädagogische und bildungspolitische Fragen in den Hintergrund rücken. Darauf bin ich in meinem Vortrag dann eingegangen und habe zunächst einmal die „unerhörte Begebenheit“ erzählt, als sich das MIT 2001 dazu entschloss, einen Teil seiner Materialien unter einer freien Lizenz ins Netz zu stellen. OER wurden dadurch „geboren“ und verbreiteten sich rasch auf der Welt (mit Ausnahme von Deutschland :=)). Dann kam die MOOC-Maschine ab 2012 und verdrängte OER und damit Werte wie Partizipation und Freiheit. Nachdem man sich vom MOOC-Hype etwas erholt hatte und merkte, dass damit nicht viel gewonnen ist, wurde das Thema breiter gezogen, so wie es die KMK in ihrer Strategie bezeichnet hat: Bildung in der digitalen Welt. In dieser Welt spielen Fragen des Teilens eine wichtige Rolle, so dass wir wieder bei OER angelangt sind. Nachdem die BMBF-Förderung zu OER größtenteils ausgelaufen ist, braucht es weitere Maßnahmen, um das Thema prominent zu halten. Ein Aspekt, der gestern auch vorgestellt wurde, ist eine OER-Policy einzuführen, die idealerweise auch mit der Digitalisierungsstrategie der Hochschule verzahnt ist. An der Basis passiert, nicht nur an der DHBW viel, das braucht allerdings Beachtung und Wertschätzung, damit dass immer noch recht zarte Pflänzchen OER weiter wachsen und gedeihen kann. Wie immer teile ich hier die Ressourcen zum Vortrag: Folien, Manuskript und Audiomitschnitt. Über den Tag hinweg haben wir mit einem Padlet gearbeitet und dabei eine lebhafte Diskussion zu Pro und Contra OER visualisieren können. This is sort of a companion post to a previous one on recognising different types of labour, particularly work associated with women. I enjoyed this article in Wonkhe from Cath Brown, the President of the Open University Students Association. She talks about the difficulties of supporting distance ed students, but also the importance of this support, stating ‘A feeling of being supported – that someone out there knows about you and your studies as an individual, will look out for you, and share your highs and lows – can make a real difference’. 1) It’s costly. Much of the motivation for new models of education is couched in terms of the cost of higher education. This is particularly prevalent when students themselves bear the cost through student loans. Then it is framed in terms of a return on investment or democratising education. Someone has to pay for education, that is true, but these questions are rarely asked in countries that view higher education as a civic mission, for example Germany. Seeking a technological solution to the question of cost is missing the more fundamental issue as to how a society funds higher education. If the Bill Gates, Elon Musks and Jeff Bezos of the world turned their resources to adequately funding higher education, then the view might be different. 2) It’s messy. Technological solutions that remove the need for human support are, well, neater. People have problems, illness, dips in performance, and so on. Algorithms don’t. But beyond this trite comparison there is something deeper in our psyche maybe, which is a desire for a clean, definite solution instead of acknowledging an ongoing vagueness. Despite all our study and research, education remains a slippery beast. We sort of know what works, but not always, not for everyone, not every time. And that just grates against our desire for a clear resolution, like a Scooby mystery that doesn’t have an unmasking. By seeking to formalise the support element through technology, this becomes a more controlled aspect. 3) It’s undervalued. A tautology, but part of the reason the support role is undervalued is because it’s undervalued. The significance of support in education is not realised often, partly because it’s messy as we’ve seen but also because it can be hidden. So because it’s not seen, its value is underplayed, which allows other components in the educational offering (content, assessment) to be seen as central. That’s not to say they’re not important, but as we proposed in our OOFAT model, content, recognition and delivery (which equates with support in this sense) are all equally significant. And if it seen as less important then it receives less attention, and thus can be replaced, in a way we would not consider for the other components. 4) It’s not technological. I’ve been reading Invisible Women by Caroline Criado Perez and she makes a point we all know, that men tend to seek technological solutions to problems. Her example of clean stoves in developing nations is telling – the mostly male developers kept trying to ‘fix’ (educate) the women who weren’t using them. But when they actually paid attention to how they were being used they found that the new stoves couldn’t accommodate the logs women were using, and as chopping logs fell to them also, they didn’t want to take on extra work in their busy schedules. This is relevant in two respects. First, support is probably perceived as being a more female role. This is not necessarily true, there is nothing innate between sexes to make a difference, but it is about perceptions and investors and education innovators probably perceive of support as ‘soft’, ‘caring’, ‘nurturing’ – all aspects they would associate with women. This automatically gives a bias (see being undervalued) in a male dominated industry. Second, like the stove designers the technologists don’t talk to educators, but rather they want to develop a technological fix to the problem. All of which is not to set up technology and support in opposition. Ed tech can help support be more effective, for instance, attendance at OU online tutorials is around 50% more than face to face. Learning analytics can be an additional useful tool to help tutors know when to intervene. Social media provides meaningful support networks for many learners. And so on. But all these examples start from a premise of valuing and recognising support. So, let’s be those pesky kids and stop those venture capitalist ed tech evangelists from getting away with it. As the latest Brexit crises (it is not just one single crisis, but a series of crises now) unfolded this week, each more worrying, bizarre and removed from rationality than the previous one, I’ve noticed one overriding emotion emerging in myself. From the sludgy mix of anger, depression, puzzlement, hysteria, the one that emerged like a taste of celery overriding everything else was shame. I have never felt so ashamed to be British. I appreciate that nationality is a social, even imaginary construct, and I have never held romantic notions about Britain’s past. But I am, in my way, quite “British” in character – reserved, emotionally crippled, polite, fond of beer and pie. Like most people, I am a product of my culture, and if you’ve met me, you will know that there’s a streak of “British” running through my personality. Every nation has its characteristics, and they are always a mixture of positive and negative elements. Having worked on many European projects, one sees that although national stereotypes are too simplistic, there is also an element of truth in them. 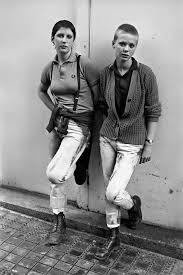 In most European bids the British partner is usually seen as hard working, not necessarily imaginative, collegiate, humorous, but also usually a monoglot and a bit off to one side. But this week more than any other, all of the counters I might have given to the negative aspects of Britishness and British history, have finally evaporated. All that remains is shame: shame that we inflicted this devastating crisis on ourselves; shame that we gave charlatans, racists and fools such prominence; shame that we have diminished the future for my daughter and her generation; shame that we have been so utterly rude and contemptuous to our European neighbours; shame that our cherished political systems have been so incapable of preventing the fiasco from continuing; shame that we look to the past, Empire and war instead of to the future; shame that the only arguments people have left are based on selfishness and delusion. And finally shame that I am part of that mix. I would like to think “this is not who we are”, but it seems that in fact, this is exactly who we are. It has now been revealed, the UK has taken on its final form, and it’s not attractive. It is cushioned somewhat by being in Wales, as most of the bluster comes from England. But Wales still voted to leave, still commits the sin of thinking there is some rational debate to be had with extremists. And Wales will suffer (more) the same fate, as part of Britain. And when it comes to Britain, I’ve finally come to feel that I no longer have any relationship with this pompous, ridiculous nation. 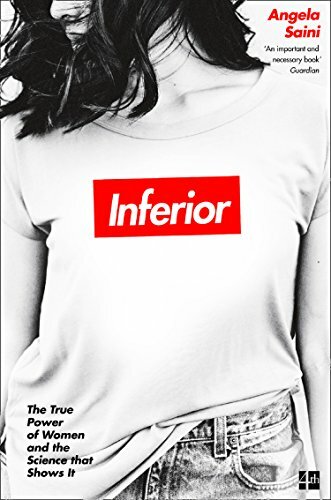 I’m reading Angela Saini’s excellent Inferior: How Science Got Women Wrong at the moment, which examines the range of ways science has misrepresented, simplified and ignored women. There’s a lot to dig into, and she writes clearly and knowledgeably, so I’d recommend it. While acknowledging I am writing about areas outside of my expertise, this reading, combined with some other conversations has sparked some thoughts that may be of interest. One of the chapters in Saini’s book looks at how anthropology had elevated the role of the hunter in hunter-gatherer societies, until a feminist movement in the 80s and 90s caused a reappraisal of much of the literature in the field. In particular I was struck by two ways in which women’s contributions were significantly underplayed, or rendered irrelevant (Saini is quick to point out that hunter-gatherers vary enormously, and there is no fixed model, sometimes there is no sexual division of labour and other times there are clearly defined roles, so what follows is a generalisation). 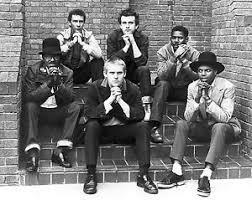 The first was the prioritising of the contribution of the hunter to the group. Because most of the research had hitherto been done by men, there was a pretty explicit assumption that hunting was the most valuable activity. But closer analysis revealed that often the calories provided by hunting did not represent the majority of the group’s intake. The “gatherer calories” (also often small animal hunting) typically provided by women accounted for anywhere up to three quarters of the overall. The gatherer calories here were simply not regarded as important by the researchers because of cultural values they had about what was significant. The second aspect was that, following dodgy evolutionary psychology reasoning, it was proposed that men developed certain skills in order to hunt, including being natural inventors. But, again, closer inspection revealed that women often created more inventions, such as bowls, food storage, etc. Crucially though, these types of inventions would often decompose, leaving no archeological trace, whereas a sharpened spear point would remain. In this respect the contribution of women literally became invisible to scientific record. This is all an over-simplification and I apologise to any anthropologists out there (hi Donna! ), but it serves as an analogy I feel. These two examples provide ways of considering what constitutes labour and methods by which it is undervalued. The first type of work – gatherer calories – is ignored because it is not deemed important. The second – invisible artefacts – are not seen because they are ephemeral. If we take these two as metaphors then we can think about the type of labour we see in digital and open practice. So for example, much of digital scholarship (blog posts, twitter networks) is akin to gatherer calories, it is not deemed as worthy as, say, one highly cited paper, but in fact may contribute more to the overall academic discourse in that area. I was having a conversation with Deb Baff who is examining informal online communities as a means of staff development. The work of communities such LTHEChat do much of the heavy lifting of professional development in the open, digital space, but like the invisible artefacts, it remains unseen because the people who make decisions about reward don’t inhabit that space. It is often the case that women do much of these two forms of labour in digital, open spaces, and also early career researchers, academics on precarious contracts and many of those professionals that Whitchurch describes as occupying the Third Space. These are all categories whose contribution is undervalued and can struggle to get their work recognised within formal structures. I’m not sure what the solution is, but the first step is definitely to recognise that ‘gatherer calories’ type activities in OEP and digital scholarship are valuable, and secondly to find ways to surface the ‘invisible artefacts’ type contributions so that they are seen and noted. Others have written much more and better about academic labour than I have here, in different contexts and how it touches upon digital practice, including Kate Bowles, Maha Bali, Catherine Cronin, and Richard Hall. Predicting the future of education is a game to which we never seem to learn the rules. Despite nearly all previous predictions being wrong, the tendency is to continue in the belief that this time, technology will lead to wholesale revolution. The first rule to learn about change in higher education is that very little changes, while simultaneously everything changes. Any prediction that highlights just one of these elements underestimates either the immutability of the general higher education system, or the degree of innovation that actually does occur within it. So, a prediction would be that the future of education will look not dissimilar on the surface, but closer inspection will reveal significant changes around the use of technology to support learning. A second rule is that technological change is rarely about the technology. Take recent innovations such as eportfolios or digital badges. The technology here is fairly robust and straightforward, but what they require to have impact is a shift in cultural attitudes from employers and learners regarding recognition, the format of learning and alternative accreditation. A second prediction then will be that many existing technologies will still be around, but that some of them will have developed the appropriate social structures for broad adoption, whereas others will have withered in this task. The third rule is to appreciate the historical amnesia in much of educational technology. Every few years the same ideas are reinvented and heralded as a new innovation, for instance MOOCs were proclaimed by some to be the first attempt at online learning, which had in fact been working effectively for 15 years or so. A related prediction then will be that exactly the same technologies we see now will be present in the future, but under different names. The fourth, and final rule I would suggest is that technology is not ethically or politically neutral. This has become increasingly evident through the use of social media for political purposes, the misuse of data by Cambridge Analytica and the manner in which AI algorithms reinforce the gender or racial bias in much of society. The prediction here then is that awareness of this will continue to grow, with educators and learners viewing technology use in education as a political choice (whether to partake in data capitalism for instance) as an educational one. Some aspects will become commonplace as a trajectory of what we have now, for instance the use of online education will expand as people are increasingly comfortable and adept at creating social bonds online. The distinction between face to face and online diminishes, so all university study is to an extent, blended. The use of narrow AI focused on particular tasks will increase, but so too will the scepticism around what this means. Similarly learning analytics will become an increasingly contested ground, between what is possible, what is ethical, what is desirable from a learner perspective and what is useful for an educator. In short, the future will have much resonance with the present, but it will be one where the relationship between people and increasingly powerful technology is one that is constantly examined and negotiated. I would not expect any grand revolution in the higher education space, the much quoted concept of disruption is almost entirely absent and inappropriate in this space. So don’t expect the type of future often predicted by educational technology entrepreneurs, with all existing universities made redundant by a new technology centric model. Instead we see a continual model of innovation, testing, adaption and revisiting within the constraints of an existing, and robust system. 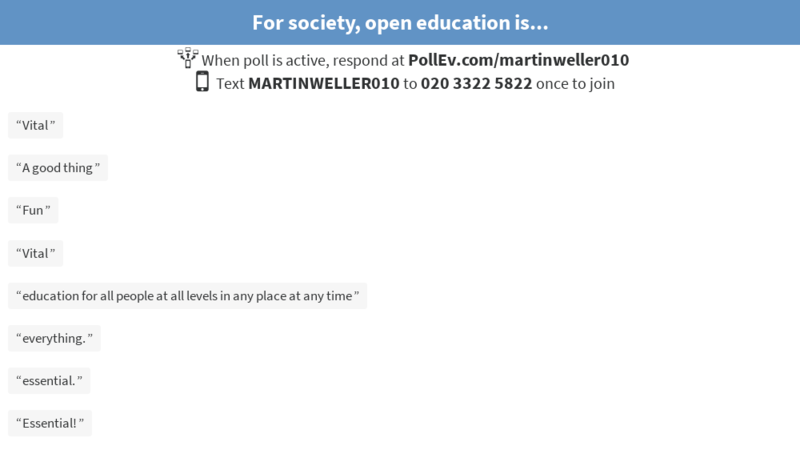 Questions about openness – the audience decides! 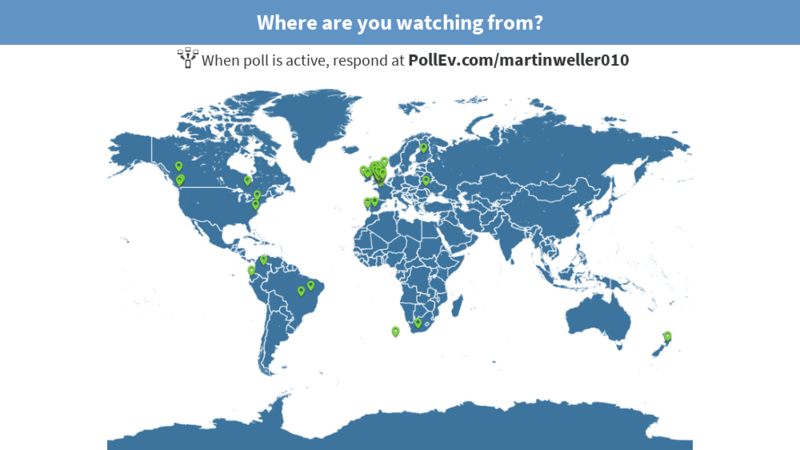 During my inaugural I made extensive use of PollEverywhere, in order to make it more interactive and gain feedback (I also had a sore throat so these parts gave me a chance to swig water, but let’s go with the pedagogic justification). Following on from the previous post detailing the theme of the inaugural, here are the responses to the questions, and some musings on what they mean. First of all, lots of lovely people came in from across the globe (disc if you’re a flat-earther) which in a way, demonstrated the point I was making about exploring openness. These were often people I have met via blogs, social media, and open practice generally, and they were now participating in my keynote. This provided the basis to explore different interpretations of open education, and at the end of this, I asked the audience to imagine that they were the Vice Chancellor for a year, and which area they would prioritise for development. 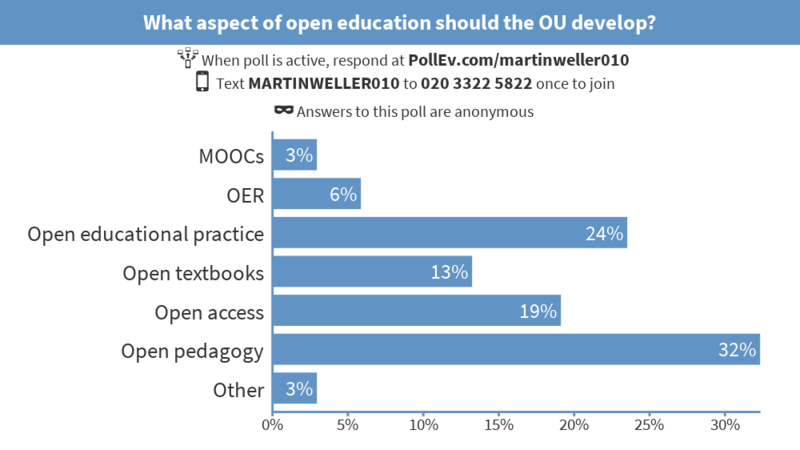 Interestingly there was little love for MOOCs and OER (perhaps people feel that they’ve been adequately prioritised through FutureLearn and OpenLearn). Despite my prompting around open textbooks, the winner was open pedagogy. I did a similar presentation at UCL yesterday, and the results were similar. This indicates that exploring ways in which we can get students involved in aspects of open practice, and using open resources in teaching is what interests educators (perhaps unsurprisingly). I would suggest then that if you have an open education policy or initiative then framing it in terms of open pedagogy is a route to adoption. I would also propose that the OU makes this an explicit staff development aim. Then, I took people quickly through the OOFAT work, and proposed this as a means of considering institutional strategy. Of the different dimensions where the OU did not currently score highly (as rated by our own staff), where should the strategic direction focus? Here, the perhaps surprising winner was flexible assessment, such as being able to take assessment at different times, in different formats. Lastly, I set out how open education, and by extension the OU, played a role in society. I asked for free text comments on completing this sentence, here are some of the answers. While not a representative audience on which one might base the strategic direction of a university, the use of polls in such a presentation, particularly with many students watching online via the OU’s Facebook page, could be a useful means to quickly acquire some sense of the relative importance of different issues, which could then lead to further investigation. I know I’ve banged this drum repeatedly, but it seems a cheaper, and more open way of realising this than paying PWC millions to tell you about your own institution. Also, I expect I’ll overuse them, but at the moment I am enjoying the use of polls in presentations as a means of creating some dialogue, breaking the talk up and also opportunities for feedback, humour and spontaneity. On the 19th Feb I gave my inaugural lecture (rather belatedly, having become a Prof about 15 years ago), as part of the Open University’s 50th anniversary celebrations. Given the delay it was something of a mix between an inaugural and a valedictory, as I chose to trace the changing nature of open education through the personal narrative of my own involvement in projects at the OU. 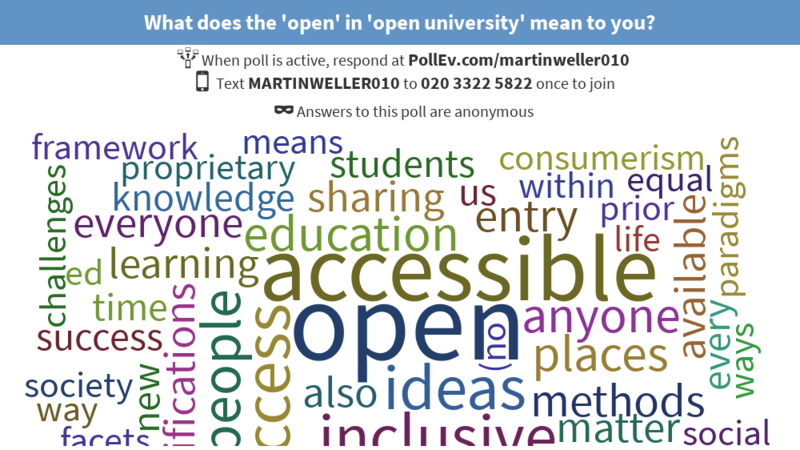 My pitch was that up until the 90s, ‘open education’ roughly equated to the open university model – there were some variations, but it was largely focused on access to higher education. The advent of the internet, and wide spread popularity of the web, both deliberately ‘open’ systems, changed this. Open source teaching project – towards the end of the 90s my colleague John Naughton got a few of us together to explore the idea of adapting the open source model of code development to education. We didn’t really persevere with this, which is a shame as others such as David Wiley and Stephen Downes were independently coming to some of the same conclusions. Here the open, online aspect of the internet began to touch upon how we created courses. T171 – I chaired the OU’s first major online course in 1999, which I’ve mentioned on here several times. The key here was that by creating a purely online course, which was hugely successful (around 15K students per year), we demonstrated that the traditional supported open learning model of the OU could be transferred online and at scale. Large scale online learning, who ever thought that’d be a thing, eh? 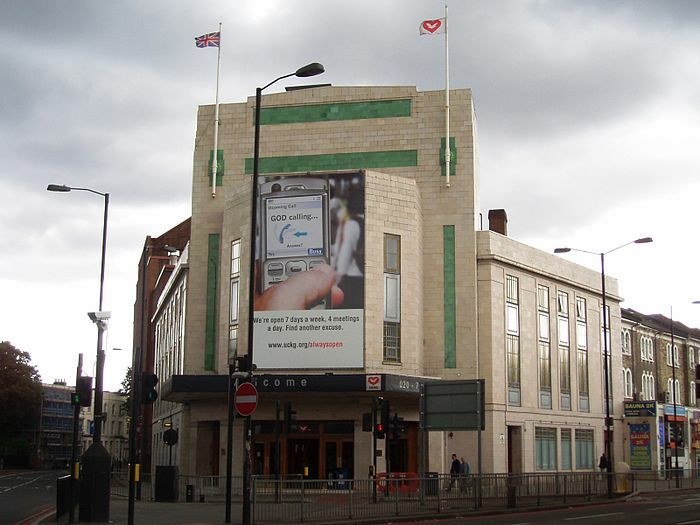 VLE – around 2004 I became the OU’s first VLE director, at a time when we had a collection of 3rd party, in house, and sometimes cottage industry systems across the university. I proposed a service oriented architecture, and Ross Mackenzie who superseded me led the adoption of Moodle. Here we have an open source platform providing an enterprise system to around 200K students. OpenLearn – I was part of the team that won a grant from Hewlett in 2006 to develop OpenLearn. This was our foray into OER, and has since gone on to be very successful, with around 8M visitors a year. Openness here is providing the OU with a new way to realise its public education mission. OEP – around 2006 I started blogging and later using social media. Here the interest turns away from institutional systems to individual practice, and how open education can change the manner in which educators operate. MOOCs – through blogging I met people like George Siemens and Stephen Downes, and experimented in some early MOOC output. In 2012 Martin Bean launched FutureLearn, and we have also developed Badged Open Courses on OpenLearn. OER research – in 2012 we got a grant from Hewlett to set up the OER Hub and research into the hypotheses around OER benefits. As part of this we developed an evidence hub (under an open source licence) which has gone on to be used in other projects. I also made the point about researching in the open. Open Access – I’m co-editor of the Open Access journal JIME, which is operated by Ubiquity Press, and through a small grant from the OU we cover the APCs so it’s free to publish. I’ve also published two (soon to be three I hope) open access books, and since around 2009 I made a vow to only publish open access. Open Textbooks – we have just completed a project examining the potential for open textbooks in the UK. I made the point that open textbooks are a very OU thing and something we have the experience, expertise, systems and reputation to be leading on (but aren’t currently). 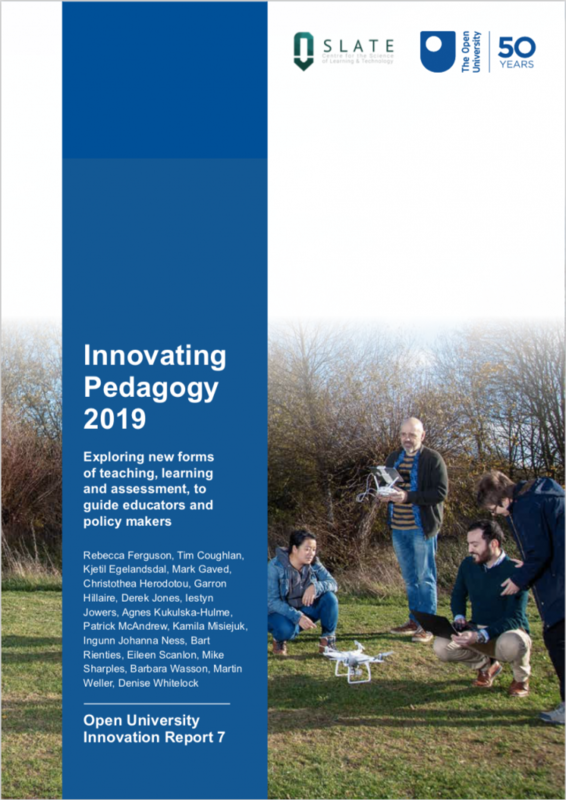 Open pedagogy – we have only really touched upon this in the OU, but there is room for development. The conclusion to all this was that it turns out ‘The Open University’ is a really good name, and still current. Much of the interesting and innovative activity in higher ed happens around the concept of openness. My pitch was that the OU should focus on innovating in this area, and that it has a good story to tell. There is a strong narrative of change and adaptation in the list above, and yet last year when we were going through some of our ‘tough times’ there was often the public perception that the OU needs to ‘get digital’. The closing point I made was that the story we tell about ourselves isn’t a luxury, and the OU needs to get better at telling the type of story set out above. Yeah, but what do _we_ know? For the record, we had more planned on MOOC research, informal accreditation and student surveys, but for various reasons these didn’t materialise, but would make good topics for any future series. So, what can be gleaned from these talks? I gave each of the speakers the same brief, which was to highlight research, give an overview of the field and bring it back to the OU context, but beyond this they had a free hand. Given this, there are still a surprising number of similarities that arise. Firstly, in most talks it is evident that the work at the OU is amongst the world leading research in that area. It is often the case that when you are inside an institution you see only the barriers or problems, and when you are external to an organisation, you see only the positive aspects. Of course, the truth always lies somewhere in-between these two, but it is worth acknowledging the excellent work of colleagues and how the OU continues to lead in many of the pertinent issues for open, online education. But while this is true, nearly all presenters gave a mixed picture. There was more we could do, and many things that had not worked as well as expected. It can be painful to acknowledge this sometimes, but part of the problem with the internal/external perspective is that it can appear that everywhere else is only having success because we are not all honest about the problems. Another recurring theme was the sensitive, appropriate application of these approaches. None of my colleagues were advocating mass revolution, or some fully automated university. The issues were all around how to use such tools to effectively support students and educators. It is this understanding of how ed tech operates within an existing system, and the complex nature of those interactions that sets apart academic ed tech in my view from much of commercial ed tech, which seeks to reimagine the education system so that many of the problems disappear. Imagining your technology working effectively in a technology-centric education system is easy, it is getting it to work in the messy, ill defined world of humans that is difficult. Lastly, the series as a whole provides a model for how senior management can think about the issues facing their own institutions (not just here at the OU). Lawrie Phipps has an intriguing post on how most technology vendors don’t want academics in the room when talking to senior management, because they ask awkward questions. However, what this series demonstrated is that the asking of those awkward questions is part of the process of thinking through a solution. Having staff present on such topics and then couch them in terms of strategic possibilities provides a much more context sensitive approach, and also highlights that an institution trusts its own experts. In the last of the series of seminars I have been hosting at the OU, my colleague Professor Denise Whitelock talked about her work on assessment. Denise takes us through a number of projects she has worked on, which have automated aspects of assessment. These have always had a strong conceptual underpinning, for instance Dweck’s work to develop Open Comment which provided feedback to Arts students. With Open Mentor, she used Bale’s work on interactive categories to help tutors develop effective and supportive feedback. And SafeSea allows students to trial essay writing before taking the sometimes daunting step of submitting their first one, using analysis based on Pask’s conversational framework. What I found interesting about this work was that it provided an example of how technology is situated in the human education system. None of these systems were designed to replace human educators, instead they are intended to help learners and educators in their current pursuits. It can be seen as an iterative dialogue between the technology and the people in the system. For example, with Open Comment Denise reports how she acted as a student and did not perform well, having come from a science background. She effectively had to learn ‘the rules of the (Arts education) game’. By making these explicit for the tool, they could then help learners develop them, when before many educators had been doing this only implicitly. This seems to me the appropriate way to approach educational technology, to see it as a component in an ongoing dialogue. Ich durfte den Tag der Lehre an der Zeppelin-Universität Friedrichshafen mit einer Keynote zur Frage: Was kann/soll/ist Präsenz-Universität heute? eröffnen. Wie immer habe ich dazu ein Manuskript verfasst, das ich hier teile und mich über Kommentare freue. Auch die Slides gibt es hier drunter, sowie einen Audio-Mitschnitt. The latest in the seminars that I’m coordinating at the Open University was held recently. I was delighted that this one was presented by my colleague Rebecca Galley, talking about 10 Years of Learning Design at the OU. I was part of this project, building on the excellent work of Grainne Conole. Learning Design is a good example of how you implement institutional change in higher education. The project developed tools, worked with ‘friendly’ course teams, became integrated into the formal course approval process, developed standard workshop and support, refined practice, and then adapted to particular needs, eg using LD to focus on retention. It is not easy, but we now have a uniform design process across the university, and are one of the world leaders in this approach. It has allowed us to then match analytics against designs, and to develop a common language and representation. Rebecca talks through the approach, the successes and tensions and possible directions. What this whole project highlights for me is that change in higher education is possible (contrary to the “things haven’t changed in 100 years” trope), but it requires patience and sensitivity. Had we said 10 years ago “everyone is doing learning design now” the project would have met with resistance (it met with enough anyway, I have the scars to attest to this). That’s the price for working with academics and not robots. But by getting people on board, working to solve real problems, talking in their language (not management speak) and being able to demonstrate benefits the OU is now in an excellent place with Learning Design (which is not to say it can’t be a lot better). Their list got me thinking about what we want in Vice Chancellors in general. While some of their criteria are OU specific, many are applicable across the sector. I would add only one criteria to their list, which I feel gets at something fundamental about the difference between higher education and other sectors. My overriding desirable quality from a VC is an educational equivalent of the hippocratic oath: First, do no harm. This is not as trivial as it sounds. The recruitment of VCs is often undertaken by professional recruitment agencies, who work across sectors. The language of technology start-up has permeated (or if you prefer, contaminated) much of this world: disruption, revolution, challenge, digital, innovative, are all the types of words one sees in the CVs of successful applicants. I get it – saying “I’m just going to tweak a few things, be good at formal occasions and let you lot get on with what you’re good at” is not a very dynamic sales pitch for a 400K salary. The point is that both are required within a band or within society. Universities shouldn’t try to be tech start-ups anymore than tech start-ups make effective universities. While it is indeed worrying that a number of HEIs in the UK are facing possible bankruptcy, the fact that this makes a headline is telling in itself. In contrast “Three tech startups may face bankruptcy” would be greeted by a shrug – after all approximately 90% of startups fail. The management required in this context is very different – here you need to produce rapid products, get through to next year and then hopefully get bought by Google. This is an entirely different context to dealing with steering your 100 year old institution through the current educational climate, while pondering its route over the next 100 years. Rather than prioritising dynamic, (often ego-driven) change programmes, HEIs need people who understand the low frequency, longue durée approach to management. And that starts with: first, do no harm. I didn’t have much to do with the report this year, but in early rounds I was keen for ‘decolonising learning’ to be included, but I didn’t feel qualified (as a white, European male) to write it, so I am grateful that made the cut. One thing I’ve noticed as we’ve continued with this series is that it has become less technology focused – sure ‘drone based learning’ may catch the eye (and we were surprised how much of this was going on), but a lot of the innovations are very, well, human. It has also gained enough of an identity that it is not an uncritical view of these approaches, so has less of the breathless admiration you find in similar reports (mentioning no names). Anyway, it’s always a useful read, so I hope you enjoy it. The 1000th Ed Techie post! Blogging highlights the process, not the output – one of my early blogging chums was Tony Hirst here at the OU. He has commented that blogging reveals an ongoing process of research, but that much of our formal systems (promotion, REF, research funding) are focused on outputs. That’s not to say outputs aren’t important, but the longitudinal picture that a blog gives you allows for a better representation of developing ideas. Blogging is ideally suited to academia – related to the above, blogging is complementary to traditional academic processes, but it also adds something that was hitherto absent. It is complementary in that you can use it to promote outputs, amplify keynotes, conduct research, build your network of peers, etc. It adds something in that it allows for an informality, additional material, thoughts, queries and smaller pieces of research that previously had no outlet beyond discussions with peers. It acts like the fine grained sand that fills all the gaps between the bigger pebbles. Discoverability has changed – in order to find blog content, you used to have to work at it through things like blog rolls, links etc. When the publication filter was removed through the advent of the web browser, it was entirely predictable that along with the new release and useful, funny, informative content would come hateful stuff. But back in the early days of blogging it required an active effort to seek this out & so its impact on wider society was limited. What social media did was to transform discovery into a passive rather than an active process. This opened up a whole new audience for racist, misogynistic, conspiracy theory sites. And this passive presentation helped to normalise these views. If they’re presented regularly and alongside reputable news sources then for a number of people who lack the critical abilities to see through them and the networks to contradict them, they begin to take on legitimacy. While we could predict the publication of vile content we couldn’t as easily predict the power of social media algorithms & bots to convert that content into the mainstream for many people. It has real impact – for both good and bad. In purely academic terms it can boost your paper’s citations, get you keynote invites, be the route to a research collaboration – ie. all the proper academic things your Vice Chancellor cares about. I have also seen its power in helping academics who may be alone in their own institution connect with others, and develop a powerful, global reputation (of which their own institution is often blissfully unaware). But, blogging is also a favoured tool of the Alt-right, nazis, misogynists, climate change deniers and flat-earthers, and has empowered these movements. But let’s end on a positive note – many of the people I met through blogging have gone on to become real friends, some of them have even stayed at my house. The conversations I have had through blogging have been invigorating, exciting and nearly always polite. It’s still the place I turn to when I need to work things out. As my daughter (cruelly) commented “I wrote a blog post about that” is one of my most over-used phrases. Long may it be so.